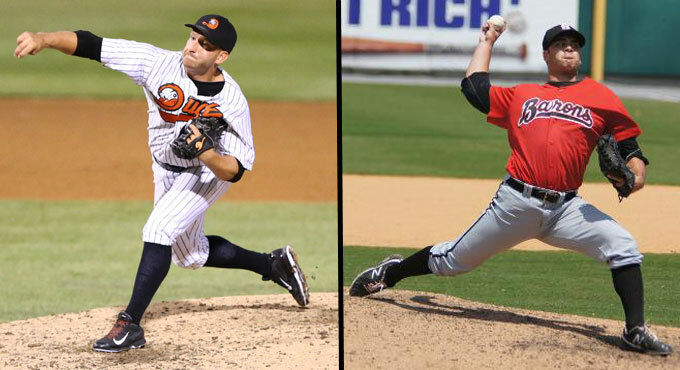 (Central Islip, N.Y., March 2, 2015) – The three-time Atlantic League champion Long Island Ducks today announced the signing of right-handed pitcher Bobby Blevins. He returns for his fourth consecutive season with the Ducks. In additional transactions, pitcher Kevin Vance has been signed by the Arizona Diamondbacks, while Brett Lorin, a staple of the 2014 Ducks bullpen, has retired and been placed on the club's reserve/retired list. Blevins spent the entire 2014 season with the Ducks and posted career best numbers in earned run average (2.95), games started (27), innings pitched (189.1) and strikeouts (119). He finished the year ranked second in the Atlantic League in innings pitched and complete games (3), third in ERA and games started, and sixth in strikeouts. The righty compiled a 9-5 record and walked just 32 batters all year. In addition, he was named the Atlantic League’s Pitcher of the Month for August after going 4-0 and posting league best totals in ERA (1.10) and innings pitched (49). The 30-year-old first joined the Ducks in August of 2012 and went 1-0 with a 2.42 ERA in six games (four starts). He followed that up by posting a 3.75 ERA in two postseason starts, helping the Ducks to an Atlantic League championship. The Briarcliff, N.Y. resident rejoined the Ducks in September of 2013, went 1-1 with a 4.84 ERA in two regular season starts and tossed eight innings of one-run ball in the postseason en route to a second league title. In 35 games (33 starts) with the Ducks, Blevins is 11-6 with a 3.00 ERA and 145 strikeouts to just 44 walks. The Lemoyne College alum was originally drafted by the Los Angeles Dodgers in the 13th round of the 2007 amateur draft. Lorin retires after posting a 2.77 ERA in 53 appearances for the Ducks in 2014 and reached the Triple-A level with Reno in 2013.